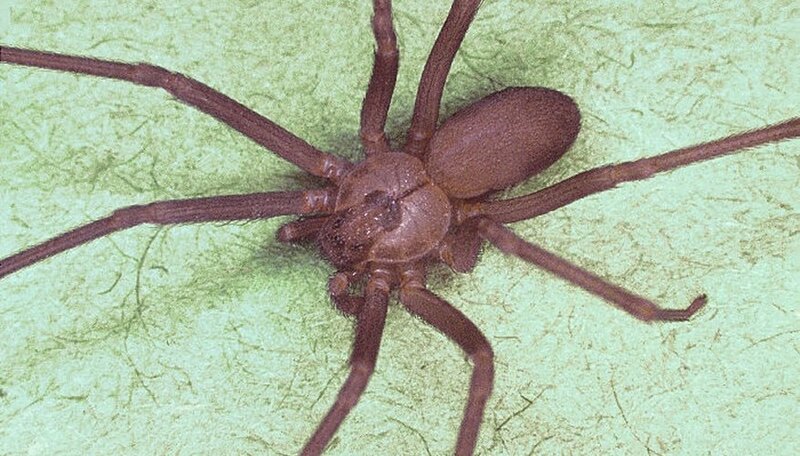 The brown recluse is one of only two spiders in the United States that is dangerous to human beings. The venom of brown recluse spiders is necrotic and can cause serious tissue damage. In extreme cases, the venom can even cause death. Due to this danger to human beings, it is imperative that you know how to identify this spider when you see it. Fortunately, there are some features that are distinctive. These steps will help you to spot this dangerous creature. Realize the actual size of the brown recluse spider. In a full grown brown recluse, the size is generally going to be around the diameter of a quarter including the legs. The body itself will be about 3/8 inches long and 3/16 inches wide. The babies are considerably smaller. Note that the brown recluse spider can be various shades depending on age and distribution area. Generally, the brown recluse will be tan to dark brown. The younger the brown recluse, the lighter the color. Observe the trademark "fiddle" marking on the brown recluse that gives the brown recluse the nickname "fiddle back." This violin shaped marking points towards the abdomen of the spider, and starts at the head. This is not a foil proof method of identifying all brown recluse spiders however, as the spider is sometimes without the marking due to molting or age. View the eyes of the brown recluse spider. Where most spiders have eight eyes, the brown recluse has only six. These are arranged in a semi circle in pairs of two. 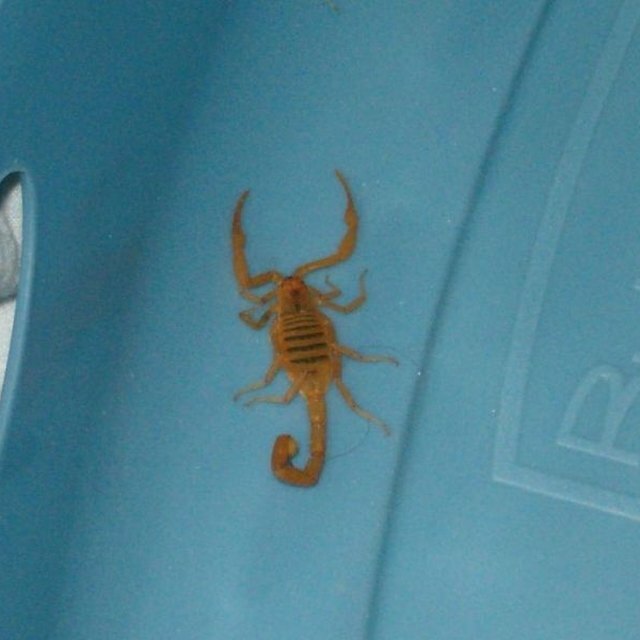 This is not clearly visible unless close up, so it can be dangerous to inspect a live brown recluse in this manner. See the bulbous shaped abdomen of the brown recluse. This spider has a clearly rounded abdomen that is always the same color all over. If a spider has any markings on its abdomen, it is likely not a brown recluse. The abdomen is also covered in fine hairs. Notice the eight long legs of the brown recluse spider. The brown recluse has very thin legs that are covered in light hair. Notably, however, is the fact that the brown recluse has no spines on its legs like many other spiders. Brown recluse spiders are fairly common in areas where there is clutter. Eliminate clutter, and you will eliminate the food source that attracts them. Never attempt to handle a brown recluse. In the case of a bite, seek medical attention right away. Southern, Rodney. "How to Identify the Brown Recluse Spider." Sciencing, https://sciencing.com/identify-brown-recluse-spider-4577825.html. 24 April 2017.